You should be reading Alana Massey’s work. If you have been supporting my activism and writing since the time the PLAL put my face on a poster or before, she is instrumental in my having had support in indie media through her piece at Religion Dispatches on the Schielders. Her writing is poignant, at times perfect in its guilty-pleasure listcycle-ness, and moving in its deep honesty. I’m moved to be mentioned in a piece where she expresses such gratitude as I owe her so much. So I am about to go off-brand and be a little bit sentimental and full of gratitude for a second instead of my usual bitter/faux narcissistic/incredulous self on this blog. Forgive me, it is late and cold and I’m listening to Paula Abdul who always gets me a little emotional. 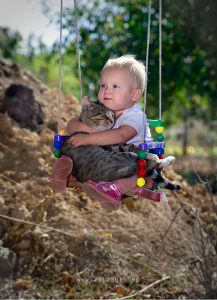 Also, this cat and baby have me feeling a certain way.